If you like to stay in touch with today’s most recent health news, then you have surely come across the subject of probiotics. After all, they are being advertised left and right for their positive contributions to gastrointestinal, immune, and mental wellbeing in adults. But did you know that the topic of probiotics for infants has also gained a lot of momentum as of late? It would appear that more and more parents are becoming interested in the ‘what’, ‘how’, and ‘when’ of boosting their children’s natural probiotic numbers. But what is fact and what is fiction when it comes to these ‘good’ bacteria and your little one? Let’s discover together. Probiotics are a natural part of the human gastrointestinal system, their presence being noted beginning with the mouth and continuing all the way through the stomach, small intestine, and colon. In addition, such ‘friendly’ microorganisms can also have colonies that protect the urogenital system in both men and women. In general, the first probiotics a child encounters are the ones transmitted by his mother through the process of natural birth. This is then doubled by the presence of ‘good’ bacteria inside breast milk. The point of having such an early exposure to probiotics is the fact that they contribute immensely to the fermentation process of various foods. In the case of newborns, probiotics facilitate the fermentation of milk (more specifically, lactose) into lactic acid, which is then much easier to digest and break down into essential nutrients. Another important aspect to take into consideration is that a child’s original probiotic makeup – that is, what he or she acquires via the two aforementioned sources – will then have a great impact on their digestive patterns and immune screening later on in life. While some probiotics are more prominent during infancy than others, only to decline in numbers as we age (take, for instance, Bifidobacterium longum), the general structure of a person’s intestinal microflora is more or less decided during this crucial period of their life. And it is only to the child’s advantage to have a strong, diverse, and stable probiotic count from the very beginning. How do probiotics impact our life? 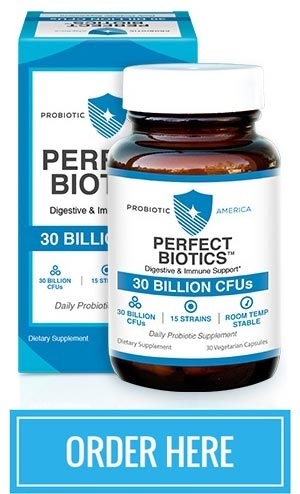 Gut wellness – as previously mentioned, probiotics are essential in the correct development of a person’s gastrointestinal functions, whether we are talking about food decomposition, nutrient absorption or regular bowel motility. Aside from improved lactose tolerance, ‘friendly’ bacteria also help reduce the occurrence of diarrhea episodes (especially those caused by infections and lengthy antibiotics treatments), meliorate abdominal discomfort, and support the long-term management of gut illnesses like IBS (Irritable Bowel Syndrome). Immune protection – did you know that approximately 70-80% of your immune screening can be found at the level of the gastrointestinal tract? This occurs in light of the fact that these ‘good’ bacteria exhibit strong antiseptic properties in the shape of pathogen-suppressing substances like lactic acid, hydrogen peroxide, etc. As a result, pathogens – whether airborne or ingested – stand little chance of developing into overgrowths in the presence of probiotic colonies. The most commonly encountered such pathogens are Helicobacter pylori, Campylobacter jejuni, and Escherichia coli (or E. coli). Skin health – the anti-inflammatory and antiseptic properties of probiotics imply that there are fewer chances of developing cases of eczema, acne or other sorts of dermal problems when you are ‘equipped’ with a strong and well-balanced intestinal microflora. The result is that of overall improved skin health on a long-term basis. Mental stability – this might come as a surprise for some, but your gastrointestinal tract is indeed connected to your nervous system through the brain-gut axis. 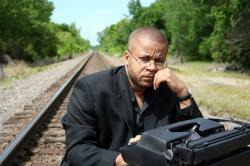 As a consequence, mental issues (depression, anxiety, etc.) will end up impacting your probiotic count in a negative manner, whereas a lower probiotic count can end up in increased mental distress. Conversely, a healthy gut will translate into better mood stability and vice-versa. Allergy melioration – probiotics are known to benefit your immune functions quite substantially, which comes in particularly handy in the case of allergenic reactions. Allergies are usually categorized as autoimmune responses to various environmental factors. Therefore, probiotics have been shown to suppress the symptoms normally associated with allergies (swelling, nausea, itchiness, etc.) and also reduce the body’s sensitivity to said allergenic factors over time. Weight control – as mentioned before, probiotics play an important part in how efficiently food is decomposed and then nutrients are absorbed, so it comes as no surprise that these ‘friendly’ microorganisms can help fight overweight and obese tendencies in the long run, as well as reduce cholesterol readings and meliorate general cardiovascular health. Diarrhea – one of the most common digestive problems associated with infants is that of diarrheal episodes. These occur because the child’s gastrointestinal system is still forming during this crucial period, with changes in diet or infections being the main causes of digestive upset. Luckily, probiotic colonies combat infant diarrhea by stabilizing the gastric and intestinal microflora, acting as an antiseptic for ‘bad’ bacteria, and promoting overall better bowel motility rhythms. Colic – most children will go through at least one episode of colic during their early infancy, which is something unpleasant for both themselves and their parents. While researchers have not been able to agree on the exact causes of these crying episodes, many have started to put forth the theory that the babies might be experiencing gastrointestinal discomfort, which then translates into restlessness and vocalized pain. Probiotic supplementation would thus alleviate this issue by boosting the child’s own digestive functions and meliorating abdominal distress. Gut problems – it is no secret that children face a lot of digestive challenges in this period of their life. It is also equally true that babies who were born prematurely are even more exposed to these health threats, since their bodies are usually not well developed enough. Probiotics can thus reduce the incidence of specific problems such as necrotising enterocolitis (deterioration of the intestines), IBS (Irritable Bowel Syndrome), IBD (Inflammatory Bowel Disease), etc. Lactose tolerance – since an infant’s diet is primarily based on milk (whether breast milk or formula), the issue of lactose intolerance is a very poignant one at hand. If the gastrointestinal tract cannot process lactose properly, then side effects like bloating, gas, and visceral discomfort are most likely to appear. Luckily, probiotics facilitate the transformation of lactose into lactic acid, which is much easier and faster to process, therefore eliminating most of the aforementioned symptoms. Eczema – atopic dermatitis is arguably one of the most frequent health issues infants suffer from. The symptoms of this affliction include skin that cracks, itches, swells up, and becomes reddened, with time even worsening in length and manifestation. Probiotics could reverse these issues by suppressing the autoimmune reaction and ameliorating the symptoms associated with it over time. What are the safest probiotic strains for children? Bifidobacterium bifidum – at birth, this probiotic can make up to 90% of a child’s intestinal microflora. Bifidobacterium bifidum’s main contributions to gastrointestinal health are increased nutrient assimilation, better lactose tolerance, and fewer episodes of diarrhea. Bifidobacterium longum – is yet another predominant probiotic inside of the child’s gut. 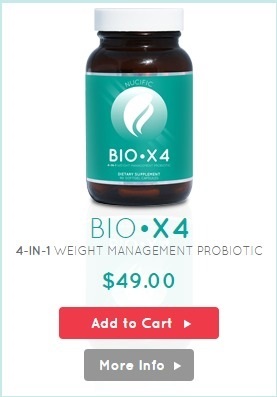 Bifidobacterium longum is frequently associated with improved lactose processing, optimized nutrient absorption, immune protection against pathogens, and relieved abdominal distress. Bifidobacterium breve – is an early colonizer of the infant gut which has been demonstrated to help prevent and treat numerous gastrointestinal problems (for instance, ulcerative colitis). Bifidobacterium breve also helps reduce lactose intolerance and diminishes the occurrence of constipation episodes. Lactobacillus acidophilus – is a famous probiotic bacterium that facilitates lactose digestion, regulates bowel motility, and promotes abdominal comfort. In addition, Lactobacillus acidophilus combats Helicobacter pylori and Escherichia coli infections that otherwise cause significant gastric and intestinal imbalances. Lactobacillus reuteri – is a ‘good’ bacterium that considerably diminishes the installation of upper respiratory infections in children, alongside that of diarrhea or constipation episodes. Lactobacillus reuteri is equally attributed with regulated digestive rhythms, reduced time of distress in the case of colic, and even fewer changes of developing cavities later on in life. Lactobacillus rhamnosus – is a ‘friendly’ microorganism that has been linked to a plethora of health benefits. Among the positive aspects of Lactobacillus rhamnosus we can count fewer instances of digestive or urogenital infections, meliorated lactose digestion, improved respiratory protection, and elevated immunity screening. Streptococcus thermophilus – as the name suggests, this probiotic has a high tolerance to temperature fluctuations, which therefore better ensures its viability within the gastrointestinal tract of children and humans in general. Additionally, Streptococcus thermophilus ameliorates instances of diarrhea, promotes improved lactose digestion, and suppresses inflammation within the organism. How do you introduce more probiotics into your child’s diet? Dairy products – ideally, the go-to probiotic resource for your child should be breast milk during the first months of his or her life. If you are unable to feed your child in this way, then probiotic-enriched formula can be used instead. Over time, you can introduce your child to dairy products such as soft cheeses (Mozzarella, Gouda, Emmental, etc. ), natural yogurt, buttermilk or kefir. Just make sure to check whether these foods have been infused with probiotic colonies after pasteurization, since heat treatments kill off most of the beneficial bacteria. Fermented vegetables – as soon as your child passes the 6-months landmark and can then be introduced to solid foods, it is time to focus on products which contain more elevated numbers of ‘good’ bacteria inside their composition. Fermented veggies like sauerkraut or brine pickles are excellent examples in this sense. The occasional teaspoon of these probiotic-filled foods will be enough to help your child become acquainted with their taste and also boost their own digestive rhythms. With time, you can select other vegetables mixes as well, either store-bought (again, check the post-pasteurization specifications) or ones made by yourself. Dietary supplements – arguably, one of the simplest and most effective ways of increasing your child’s probiotic count is via good quality dietary supplements. These generally come in various formats (liquid, powder, tablets, capsules, etc. ), administration routines (once to several times a day), and potencies (from a few million to several billion CFUs or colony-forming units of bacteria). Nevertheless, it is very important to first consult with your paediatrician before resorting to such a digestive enhancer, as well as choosing a product specifically designed for infants; otherwise, you might end up doing more harm than good to your child. No matter how, when, or why you decide to introduce more probiotic bacteria in your child’s day-to-day diet, it is important to remember that staying informed and constantly in touch with your family doctor is essential in promoting both your baby’s wellness and your long-term peace of mind. Remember: a parent ‘in the know’ will have a healthy child, but a parent who knows their way around probiotics will have a happy baby too! 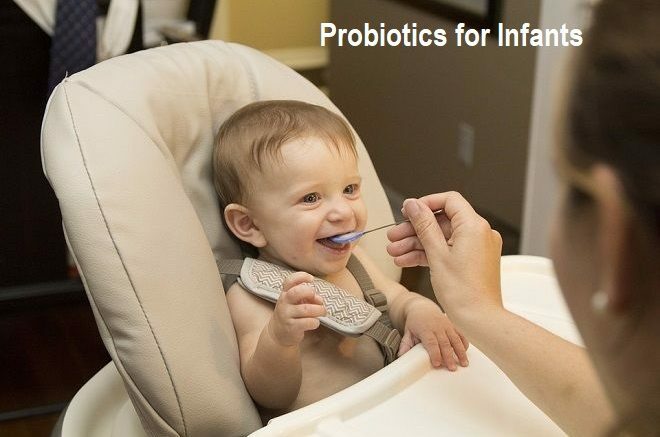 Be the first to comment on "Probiotics for Infants"